Get your mitts on a FREE 1-minute Daily Glow Face Mask from Sanctuary Spa! 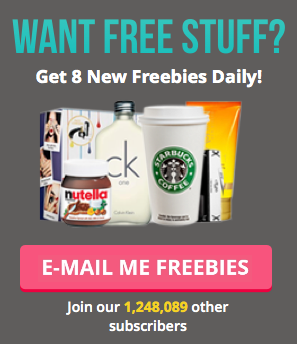 There are 30,000 freebies available so get a wiggle on & apply now. This freebie won't hang about, so for your chance to enjoy all the health benefits that come with this fabulous mask, you must apply right away to avoid disappointment! This formula is a wonderful blend of vitamin C, rosemary extract, kakadu plum and other amazing super fruits. This unique blend only has to rest on your skin for 60 seconds to give you more luminous skin, along with a softer texture. To get your hands on this freebie, fill in the form at the bottom of the webpage and click 'apply for a sample'. We can't wait to try this one!